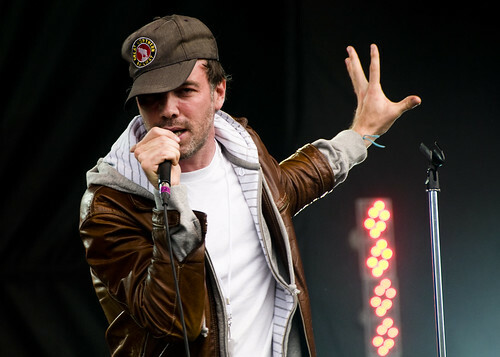 Buck 65 released his first recording 20 years ago. Yes, really. To note this milestone, he’s releasing an EP series called 20 Odd Years, with 20 new songs spread over five EPs. The fourth edition of the series, Cenotaph, is out on September 14 and features a collaboration with Gentleman Reg. Love Shine, a new documentary about Canadian singer/songwriter Ron Sexsmith, will debut at the Vancouver International Film Festival in October. The Dears have announced the opening acts for their album-release residency shows, including three dates in Toronto. Broken Social Scene wrote the score and a new song for film It’s Kind Of A Funny Story. Roland Pemberton — aka Cadence Weapon — is writing a new television column for Vue, an Edmonton alt-weekly. Here’s a cool interview with Ben Blackwell, head of vinyl production at Third Man Records. Sorry, guys: John Mayer has quit Twitter.